BIO My name is Sherman Denard Woods Jr from city/beach tourist town called Biloxi, Mississippi born on November 11, 1983. Im the youngest of seven sisters and one brother. As the youngest of the family I’m definitely the black sheep. I’ve been thru several obstacles in my lifetime overcoming a reading disability and epilepsy I was still able to play sports and graduate from college with a 3.5 GPA and an associates degree in business office management. 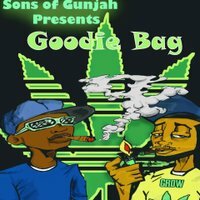 I have other accomplishments as well besides education I have done very well in my music career I have hit record out right now with my cousin @kingcold_228 Courtesy of the Muddywaters Multimedia Group called Goodie Bags which is on several radio stations and streaming platforms spotify, iTunes, google play, Napster, Amazon, deeper etc. I’m also the President of the Muddywaters Multimedia Group which is another accomplishment which I’m really humbled by. New Projects? My projects are coming out in the 3-4 months I’m in the recording process right now I’m going to be on the mixtapes FWM, kool and debonair a project with my cousin kingcold, Muddywater blues in my backyard and plus we have our podcast which is a part of the Muddywaters TV/Muddywaters Multimedia Group Brand. Biggest Goals for 2018? My biggest goals for 2018 is to keep making amazing music, bring out more projects, to do more shows, do more promo, make more bosses, to put our city on the map, keep expanding our brands and really make a living doing our music and get into even more business ventures.